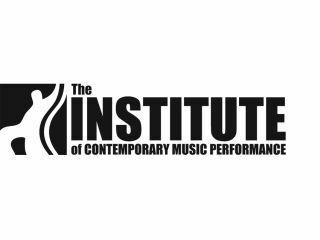 PRESS RELEASE: The Institute of Contemporary Music Performance (ICMP) is delighted to announce, in conjunction with its leading partners, the launch of over £31,000 worth of scholarships for deserving students to study on the renowned ICMP Higher Diploma course starting October 2010. Each category includes one full scholarship (worth £5250 to the winner) and one partial scholarship (worth £2625 each). The Higher Diploma is a specialist one-year full-time course, developed by the ICMP to train and develop students of guitar, bass, drums and vocals for a career in the music industry. It was the first full-time course of its kind ever developed in the UK and achieving a place on the course continues to be an aspirational goal for young musicians. The ICMP, widely recognised as one of Europe's leading schools of modern music, counts on an unrivalled teaching and visiting faculty, many of whom regularly work and tour with some of the music industry's greatest artists. ICMP alumni can be found throughout today's music industry, working with high profile artists such as Paolo Nutini, The Noisettes and Will Young. Previous scholarship winners can be seen performing with successful artists across the world including Estelle, N-Dubz and Lauren Hill. Closing date for entries is 5 March 2010 and there is always a great demand. The scholarships are open to anyone from the UK or internationally and the application form is available to download from www.icmp.co.uk.